This summer we want you to be able to RELAX in and around the swimming pool. Follow these simple steps to help you to RELAX. 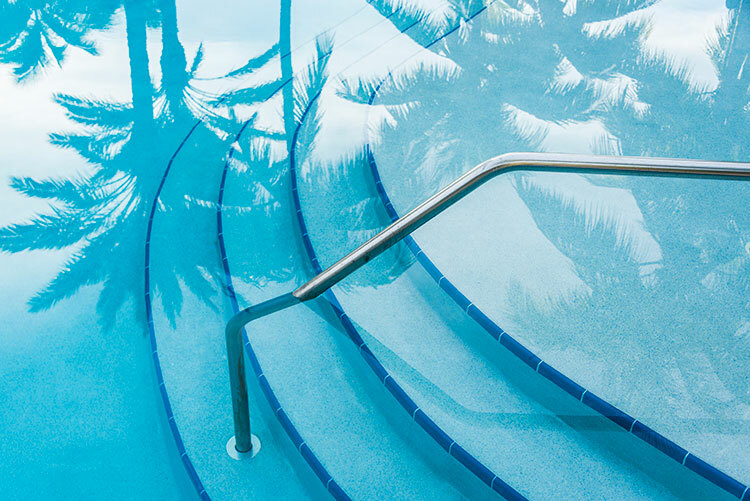 Identify safety features, barriers, slides and chutes, deep and shallow end, whether there is a lifeguard if it’s a shared pool and when they’re on duty. Take a moment to enter the local emergency numbers into your phone when you arrive. Lifesaving techniques. Make sure you or someone you are with knows how to save lives. There may not be a lifeguard where you are going, so learn some basic CPR. And even if there is a lifeguard, bear in mind they are not substitute parents. 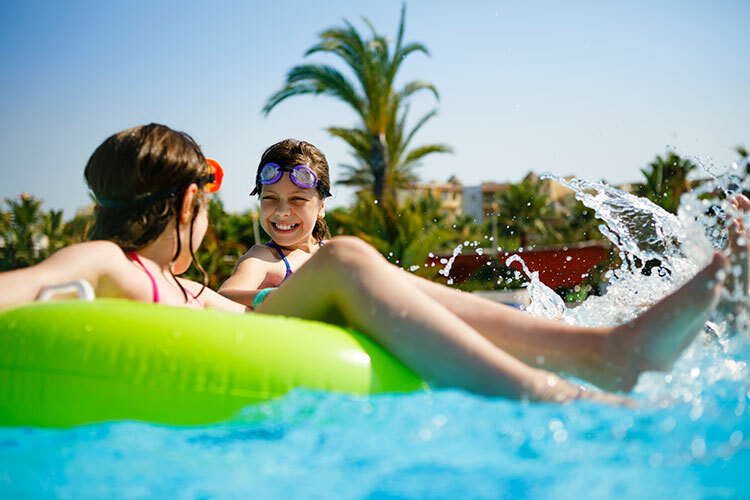 And for travel and tour companies and self-catering accommodation providers, we expect you to provide the right information and assistance to help people using the pool avoid getting into trouble, and to deal with an emergency if necessary. Make sure pool signage and any briefing material is clear on whether there’s a lifeguard on duty (and when), and what to do in an emergency. Regardless of the presence of lifeguards, emergency contact numbers should be easily accessible, at or close to the pool. It is also worth reminding people that the presence of lifeguards is not a guarantee against accidents. We are asking all accommodation providers with swimming pools this summer to add local emergency contact numbers to existing signage, or to ensure these numbers are easy to find at or close to any swimming pool. Emergency numbers should be made readily available to people on arrival at their accommodation. 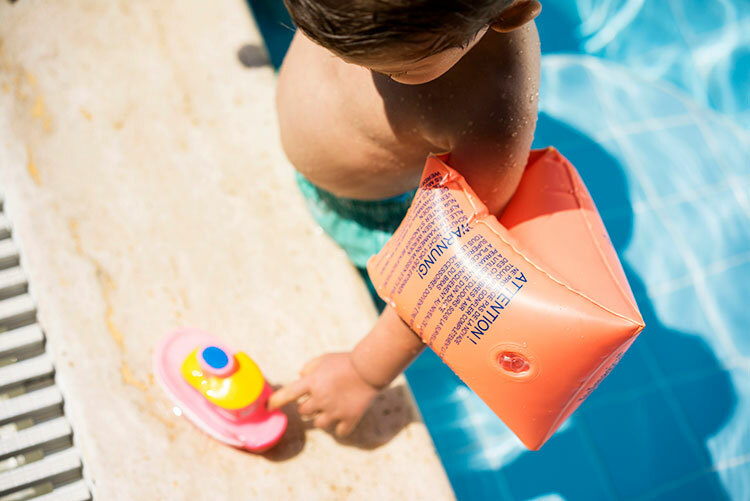 Travellers: tell us about good practice…what helped you know what to do in an emergency at the pool…where was the information and could you find it quickly if you needed to? Lifeguards must be trained in resuscitation techniques and they must be able to use them in an emergency. They also need to be able to communicate clearly to visitors too. Lifeguards provide some assurance to pool users who may be less vigilant if lifeguards are present; therefore, it is potentially more dangerous to have an ineffectual lifeguard than none at all. We are asking all accommodation providers with swimming pools that, where lifeguards are provided, they check that their lifeguards have the basic lifesaving and communication skills needed to be effective in an emergency. If any gaps are identified in these skills we are asking that all future recruitment and training of lifeguards ensures they meet these basic requirements. Travellers: ask your accommodation provider what sorts of skills and training their lifeguards have, and let them know if you feel confident in them or not. Click here to download pdf of this page. ABTA’s Swim Safe campaign has lots of resources and practical advice on staying safe in a range of swimming environments.